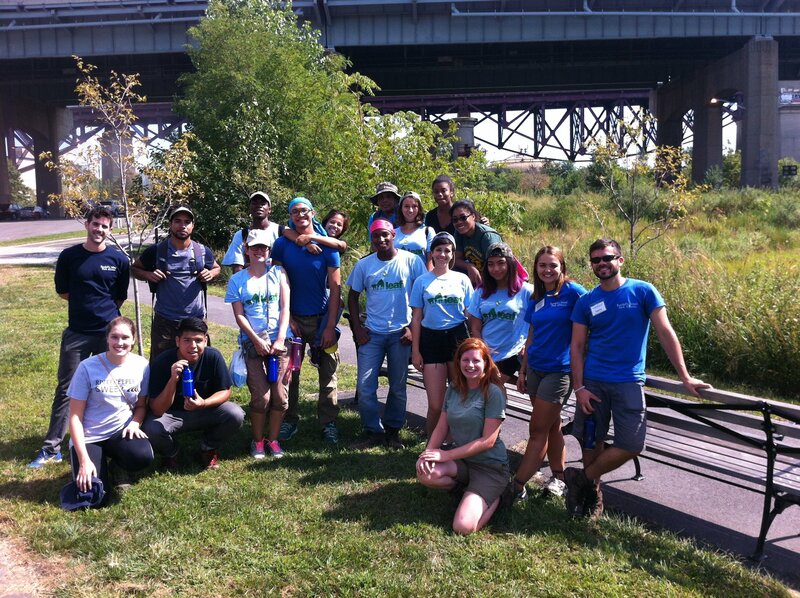 the wonderful LEAF Alumni from the Nature Conservancy-some students traveled for up to 2 hours to help out. The wonderful LEAF Alumni from the Nature Conservancy. Some students traveled 2 hours to volunteer. Thanks to the efforts of nearly 75 volunteers, dozens of bags of trash were removed from the shoreline at Randall’s Island Park on September 18 and 19. Beyond debris removal, International Coastal Cleanup day focuses on collecting data, which will help to inform critical policy decisions that target the sources of solid waste pollution around the world. As part of an annual global day of service, the events out on Randall’s Island last Friday and Saturday were two of hundreds of cleanups held around the world. 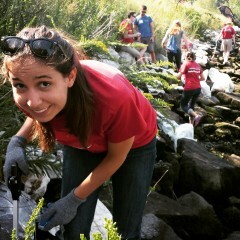 Last year over 550,000 participants removing 16 million pounds of trash from 13,360 miles of shorelines. Over the course of two days, volunteers cleaned up a wide variety of items including food wrappers, a basketball, Styrofoam pieces, and plastic bottles. 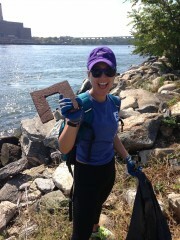 Styrofoam and plastic bottles are among the most common items collected by thousands of volunteers during the Annual Riverkeeper Sweep, which takes place each May at over one hundred locations throughout the Hudson River Estuary. Data collected during the Riverkeeper Sweep has helped to support momentum throughout the Hudson Valley and New York City to ban single-use plastic bags and polystyrene products. A huge thank you to the Randall’s Island Park Alliance, Bank of America, Black & Veatch, The Nature Conservancy LEAF Program, Magnolia Communications LLC, Cannon Design and the rest of our volunteers for helping to reduce marine pollution one piece of trash at a time. Check out the Randall’s Island Park Alliance’s upcoming, Run the River 5K fundraiser. Riverkeeper is recruiting volunteers to hand out water to race participants on October 24. Sign up to volunteer with us! As the Outreach Coordinator, Jen manages the Riverkeeper Sweep, an annual day of service for the Hudson River, and works with partner organizations and local groups on around issues threatening the Hudson River. Contact Jen at 914-478-4501 ext. 234 or at jbenson@riverkeeper.org.